91 cm x 122 cm. I started this painting as a break from using the computer in my usual illustrative style. I work fast! Due to the reflective nature of the metallic paint, I chose this photo at an angle for better viewing. 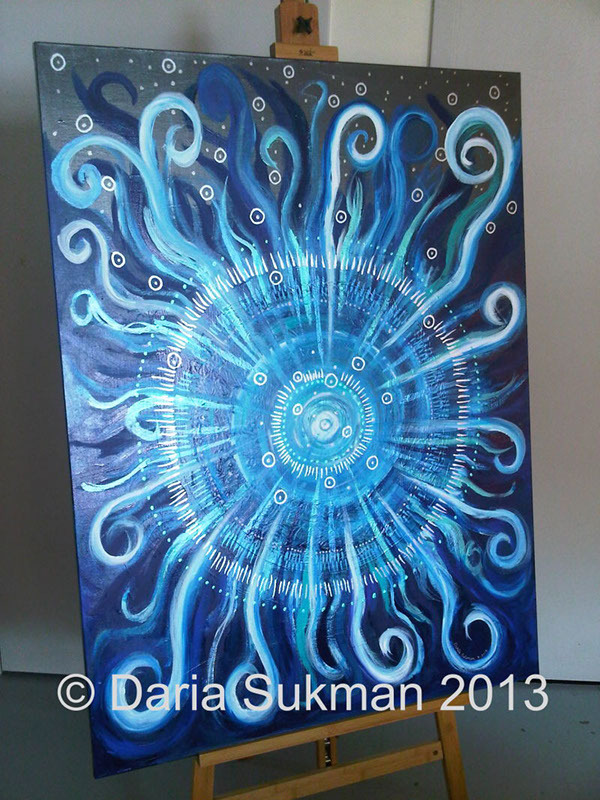 Blue Cosmos Acrylic on canvas. 36" x 48". 91 cm x 122 cm. © Daria Sukman 2013 I started this painting as a break from using the computer in my usual illustrative style. I work fast! Due to the reflective nature of the metallic paint, I chose this photo at an angle for better viewing.